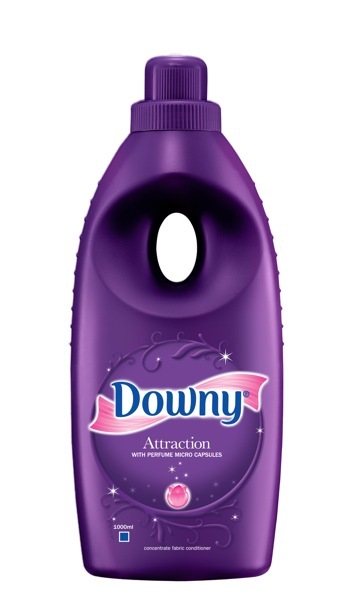 From one of the world’s best perfumers comes a new line of Downy fabric conditioner that gives wo(men) the chance to enjoy the luxurious scent of perfume everyday – Downy’s Perfume series, Passion and Attraction by Downy. The trained noses of Procter & Gamble (P&G) traveled to Grasse, France, the perfume capital of the world, to create two exciting new scents for Filipinas to enjoy. Passion by Downy excite the senses with a floral blend and a hint of the Oriental, with Jasmine, Ylang-Ylang and soft musk notes. Meanwhile, Attraction by Downy delights the senses with the fruity, sweet fragrance of apple blossom, freesia and vanilla. Passion by Downy has invited me to participate in the “Perfume or Fabcon” Challenge! From one of the world’s best perfumers comes a new Downy fabric conditioner that gives wo(men) the chance to enjoy the luxurious scent of perfume everyday – Passion by Downy. Exciting the senses with its luxurious floral blend and a hint of the exotic Orient, Passion by Downy is infused with the perfume oils of Jasmine, Ylang-Ylang and soft musk. With Passion by Downy’s lush fragrance on your clothes, women can now indulge in the freshness of perfume everyday. How sensitive is my nose? Can I tell the difference between perfume and new Passion by Downy? One of these towels has been sprinkled with perfume; the other has been washed with new Passion by Downy. Can I guess which is which? It's kind of hard to guess which was washed by Passion of Downy and which was sprayed with perfume. Because both smelled so good! Both oozed with fruity and flower scents. How sensitive is my nose? 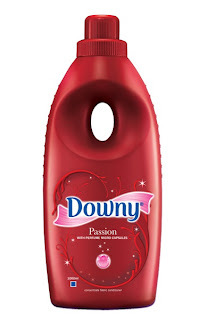 Can I guess what other perfume notes were used in Passion by Downy? c. Lavender (Answer). The scent reminds me of a lavander oil that was once used on me when I had a massage. I can't remember when, but the tinge of lavender scent is what I could smell on the towel.